Have you ever wondered where your daily weather forecasts come from? Or have you ever been curious about what the work as a weather forecaster entails? 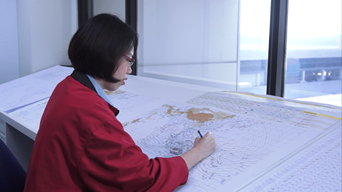 Did you know that the aviation industry is one of the main users of weather services? 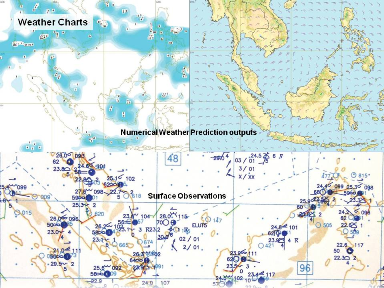 And that the first weather observation in Singapore was made in 1820? 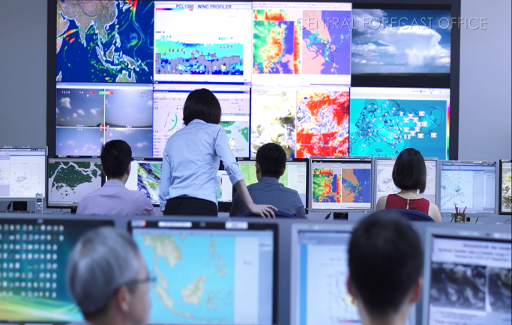 Click here to sign up for a free visit to our weather forecast office at Changi Airport to find out more! 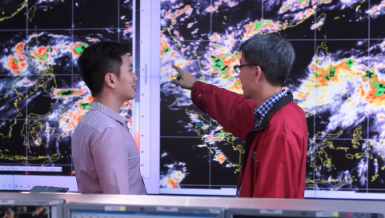 During the visit, we will share with you what Meteorological Service Singapore does, what are some of the latest weather monitoring systems available and how our meteorologists work round-the-clock to serve the needs of the public, government agencies, the aviation community and other specialized users. Based on the subject matter presented, secondary school students and above would be best able to benefit from the visit/ talks. We would thus only be accepting visits from secondary school and above with a group size of 10-25 persons. The weather in Singapore is dominated by monsoons throughout the year. While we tend to associate the word “monsoon” with rain, monsoons are actually defined based on prevailing wind directions. Although we do not experience the four seasons, each of the monsoon seasons (Northeast and Southwest) and the inter-monsoon periods have their own distinct characteristics. 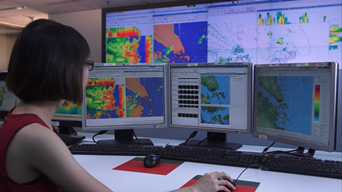 This talk will give an introduction to the weather systems we experience in Singapore. Did you know that Singapore experiences on average 164 days of thunderstorm in a year, making it one of the countries with the highest frequencies of lightning activity in the world? In this presentation, we will discuss how thunderstorms are formed, their characteristics and how to take precautions from lightning strikes. Meteorologists rely on a vast array of tools to monitor and predict the weather on a daily basis. 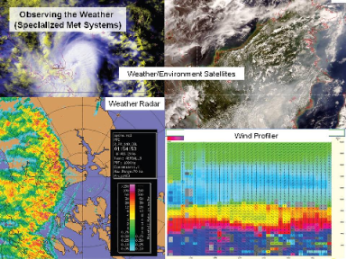 These instruments and sensors have evolved over the years and greatly help in the understanding of the atmospheric and weather conditions in Singapore and around the world. This talk gives an overview of the various tools used by meteorologists in the forecast office. Climate change is one of the most pressing challenges facing mankind today. As evidence for human-related climate change accumulate, there is an increasing need for the public to access scientific information in plain language to understand this complex issue. The topic is particularly relevant for the young generation who will face the full consequences of current greenhouse gases emissions during their lifetime. This talk will give an introduction to the science of climate change and its relevance to Singapore, an island state, which will be impacted from sea level rise and changes in the climate. While Singapore experiences a high incidence of thunderstorms every year, there are other interesting weather phenomena that occur less frequently and are lesser known. Learn more about haze, hail and waterspouts as we take a look at the reasons for their formation and their past occurrences in Singapore.